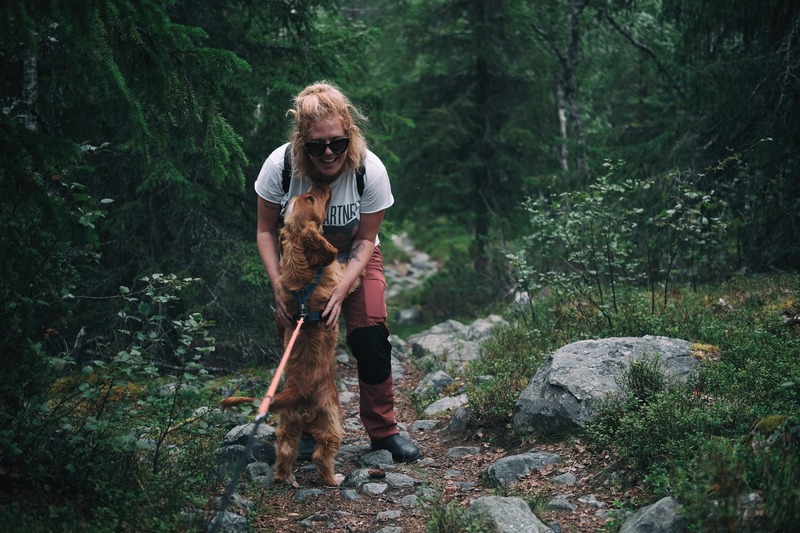 Hiking with your dog can be fun for both you and your furry friend. Not only does it provide a great source of exercise for you and your dog, but it’s also one of the best ways to have amazing adventures while creating memories that will last a lifetime. It’s a win-win for everyone! While we’d all love to be able to take our dogs with us on every trail we venture down, we can’t always do that. 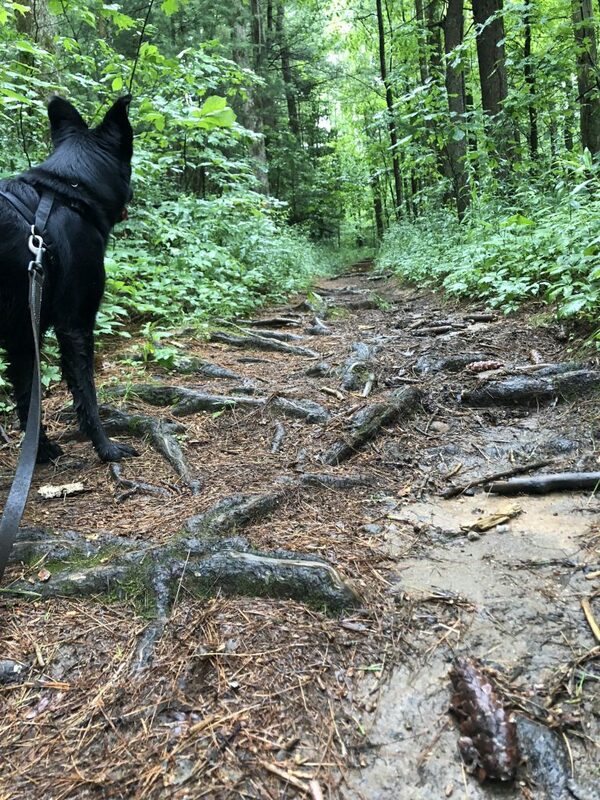 Sometimes the trails are too steep or the terrain is too rough for our four-legged friends to maneuver, or sometimes they simply aren’t allowed in that area because of other critters that may be dangerous for our dogs to encounter. 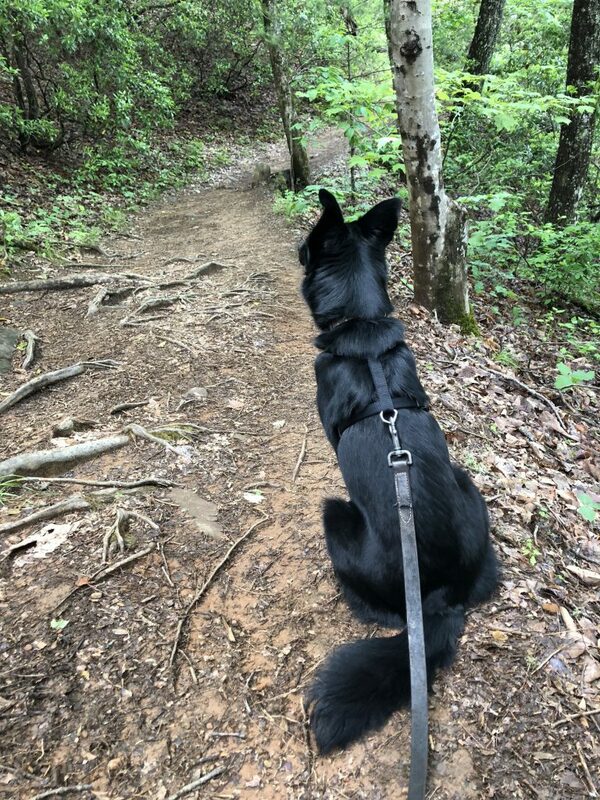 To make things a little easier for you and your furry companion, here’s a list of a few trails around the Blue Ridge area that are sure to bring tons of fun for both and your favorite adventure buddy! Easily accessible by both the Appalachian Trail and the Benton MacKaye Trail, the Duncan Ridge Trail is one of the more difficult trails in the Northeast Georgia Mountains, spanning a total of around 30.1 miles. While the trail is labeled as moderate to strenuous by most experienced hikers and backpackers out there (mainly because of the low usage and steep climbs), don’t let that discourage you from taking on this gorgeous trek back into the Chattahoochee National Forest! You don’t have to hike the whole 30.1 miles and for those with pups that aren’t too keen on making friends with other hikers/dogs, this trail will let you have the outdoor experience you always wanted without the anxiety of other dogs and hikers. The Duncan Ridge Trail begins at Three Forks on the Appalachian Trail/Benton MacKaye Trail. Beginning at Three Forks, you’ll hop on the AT and walk the beautiful mile stretch out toward Long Creek Falls, following the soft sounds of the creek that runs alongside the trail. Hiking toward the falls, the Benton MacKaye Trail (BMT) and the Duncan Ridge Trail veer off to the right less than 0.1 miles after the short path down to the falls begins. There will be markers present that identifies which trail is the BMT and which is the Duncan Ridge Trail but just in case, follow the blue vertical blazes (marks on the trees) for the Duncan Ridge and the white diamond blazes for the BMT. From there, hikers will follow the trail through a tunnel of laurels and rhododendrons during the spring and summer months deep into the Chattahoochee National Forest before reaching the swinging bridge over the Toccoa River. Hikers can choose to push on and make the climb up Tooni Mountain, or call it a day a hike back toward Three Forks. Regardless of what you decide, just remember to have fun and hike your own hike! Roughly 75 percent of Appalachian Trail hikers, thru-hikers and sectioners alike, decide to take the Appalachian Approach Trail to begin the trail while the other 25 percent simply take off at the base of Springer Mountain as they start the 2,192 mile (or less) journey. But for those who want to join the majority, the 8-mile trail starts off from Amicalola Falls State Park, beginning the 78-mile Georgia portion of this famous hiking trail to Maine. Not planning on walking to Maine? Then just hop on the Appalachian Approach Trail with your favorite furry pal and enjoy one of the best day hikes in the North Georgia Mountains. Just above the top of Amicalola Falls (you can hike up the falls or just enjoy the view from the parking lot at the top), the trailhead begins. For the first ⅓ mile, the trail will coincide with the Len Foote Hike Inn. When the trail forks, follow the blue blazes, veer left, and head toward Springer Mountain. Soon enough the trail will leave Amicalola State Park, climbing its way through the Chattahoochee National Forest and onward toward the Appalachian Trail. Though not strenuous, this trail is rated at moderate, so this might prove a challenge for some at certain parts of the trail. Elevation gain is steady over the eight miles, climbing gradually through the thick Chattahoochee Forest. During the spring and summer months, the trail beams with lush greenery and vibrant native wildflowers. In the fall, the trail is a technicolor of bright orange, yellow, and red. Regardless of the time of year, the trail promises spectacular scenery. While much of the eight-mile stretch is shaded and covered with thicket, the last 1.5 miles will provide close to 500-ft elevation gain and thinning treeline as you make the final climb up Springer. And once you get to the summit, the blue blazes will fade to white, marking the Southern terminus of the Appalachian Trail and a gorgeous view of the rolling mountains and valleys of the Blue Ridge. 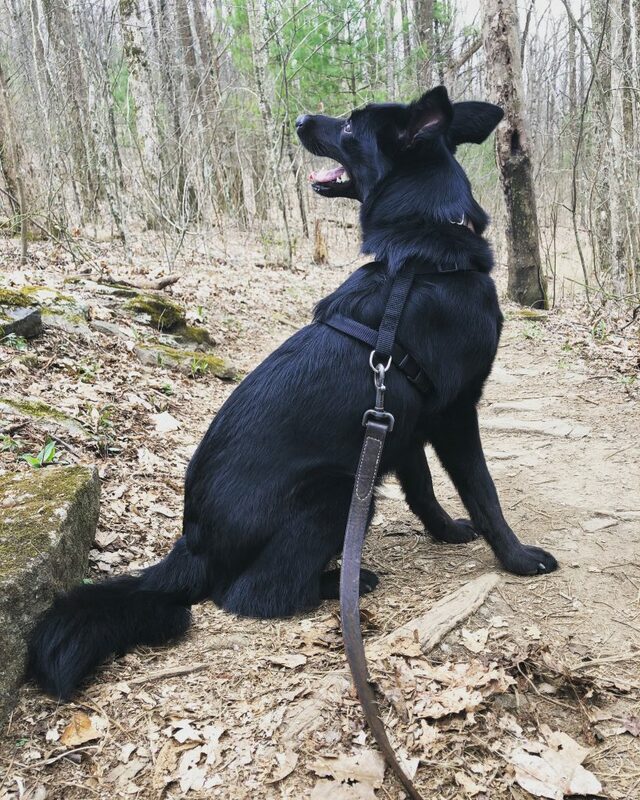 If you’re looking for the typical North Georgia hiking experience for you and your furry friend, look no further than the Stanley Gap Trail. Full of bright red Georgia clay and plenty of white mountain granite and large roots, you’re in for an adventurous afternoon out in the Chattahoochee National Forest. Now, be forewarned, this trail doesn’t offer up any waterfalls or stunning summit views, but it’s great for those who just want to get out and enjoy the beauty of the North Georgia Mountains. Plus, you’ll have plenty of protection from the sun on hot, humid days. Coming in at just under 5 miles — around 4.8 mi — the Stanley Gap Trail is rated at moderated, but those used to hiking easier trails shouldn’t find this one too difficult either. It’s fairly forgiving, with breaks in the upward climb every 50- 100 ft along the way. The main thing hikers should watch out for are large upturned roots and rocks that can be a bit tricky to manage if you’re not careful. But as long as you are being mindful of them, the hike shouldn’t pose any problems whatsoever. The highest point on the trail comes around Rocky Mountain, just below the summit, near the trail’s halfway point. After reaching that point, you’ll have to scamper up one last incline before winding back down for 1,000 ft descent toward Deep Gap. If you’re not wanting to hike all the way back to the trailhead, you can always make arrangements ahead of time for someone to pick you up at the Deep Gap parking lot or even catch a ride with a trail system shuttle driver back to you (and your dog!) back to your car. Where are your favorite places to hike with your favorite 4-legged family member? Be sure to share your pictures of your journeys with us on Facebook or Instagram. We’d love to see where your Escape to Blue Ridge takes you!